It seems that the 90's are having a real revival at the moment. 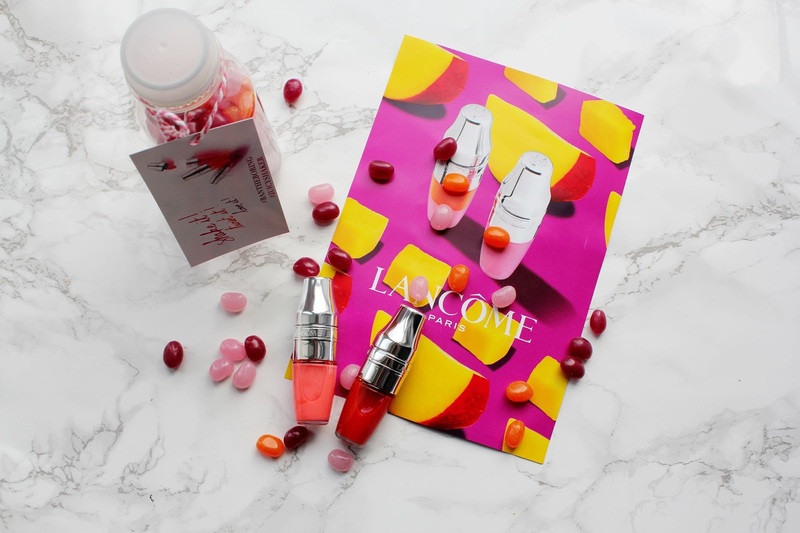 Lancome's new launch is possibly one of their most exciting in a long time and it comes in the form of Lancome Juicy Shakers. 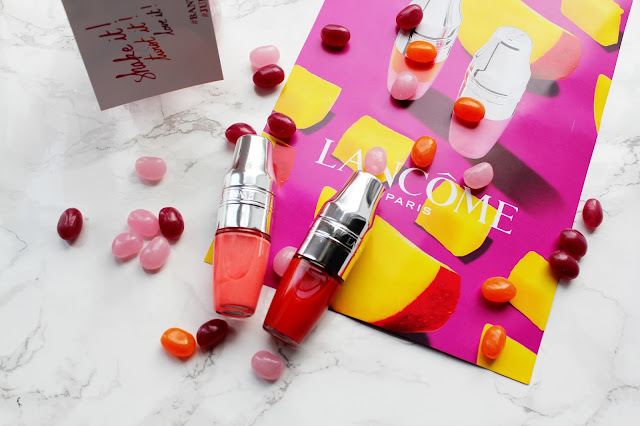 Firstly these new launches from Lancome are so different in comparison to anything on the make-up market at the moment. The size of them (they're tiny) and the colours are all really bright. 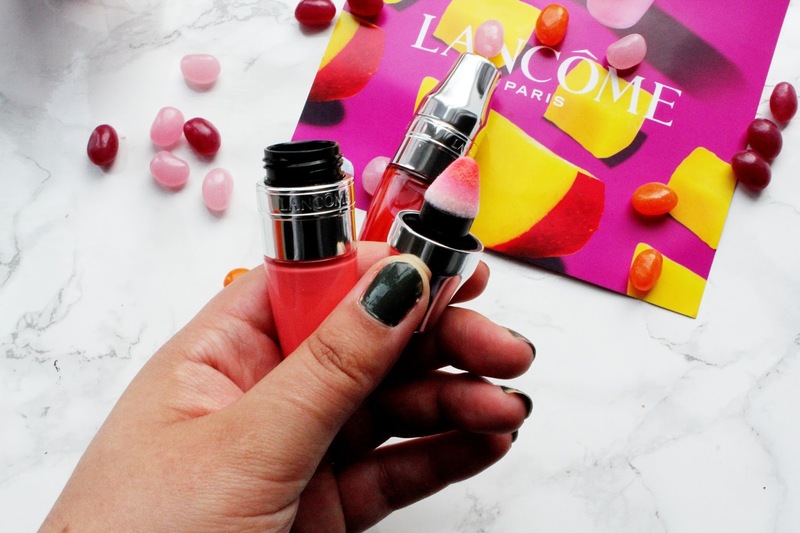 The two colours I have got here are Freedom of Peach (which is the lighter shade) and Cherry Symphony. They are both such bright side which is unusual to see on the high-street. 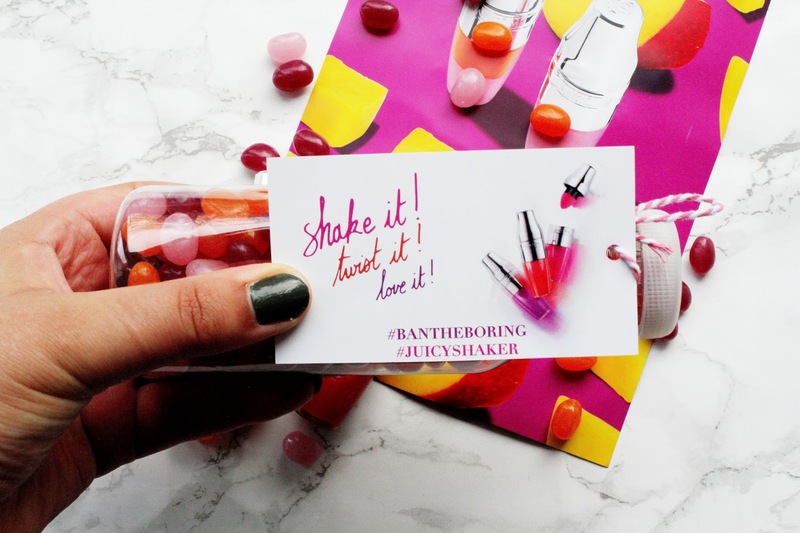 First of all the applicator for these juicy shakers is really different as the sponge is really soft. The smell of these juicy shakers is so so nice. 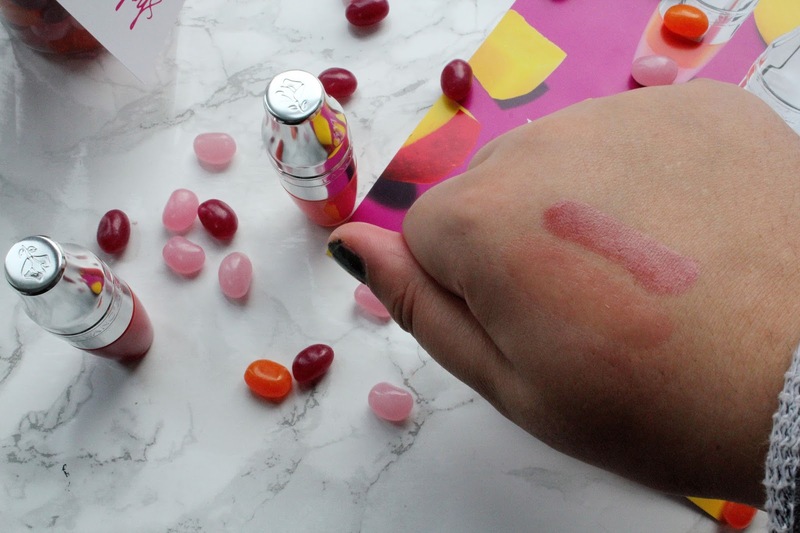 I'm never normally a fan of lip gloss products but I really like these as they smell so good and are really moisturising. I love the look of these so bright and fresh perfect for Spring/Summer! These look like so much fun, they're so cute too!